Lobster West’s Lobster Tail Salad. Photo credit of Lobster West. 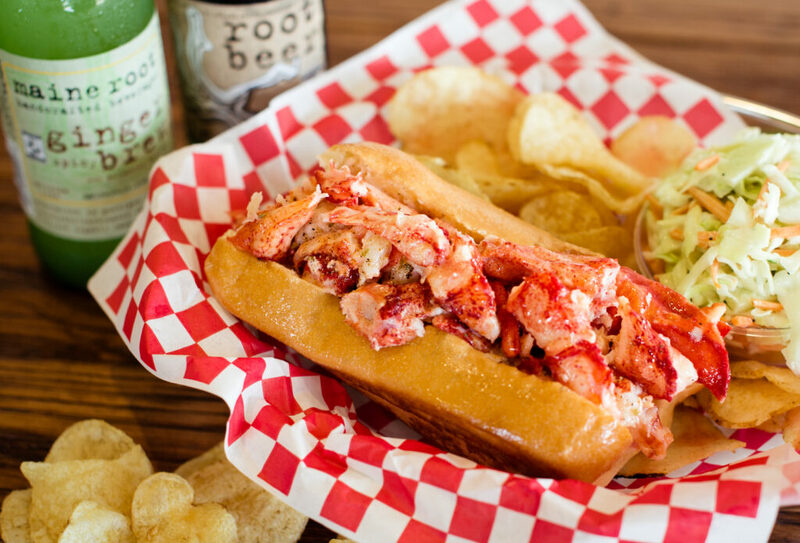 The buzz began this weekend in Coronado: Lobster West, the authentic Maine lobster restaurant in Encinitas, announced that it will be opening a new location at 1033 B Ave in Coronado. The restaurant will take the place of former Cupcake Store & More near the Coronado Post Office. Interior of Lobster West restaurant in Encinitas. Photo credit of Lobster West. 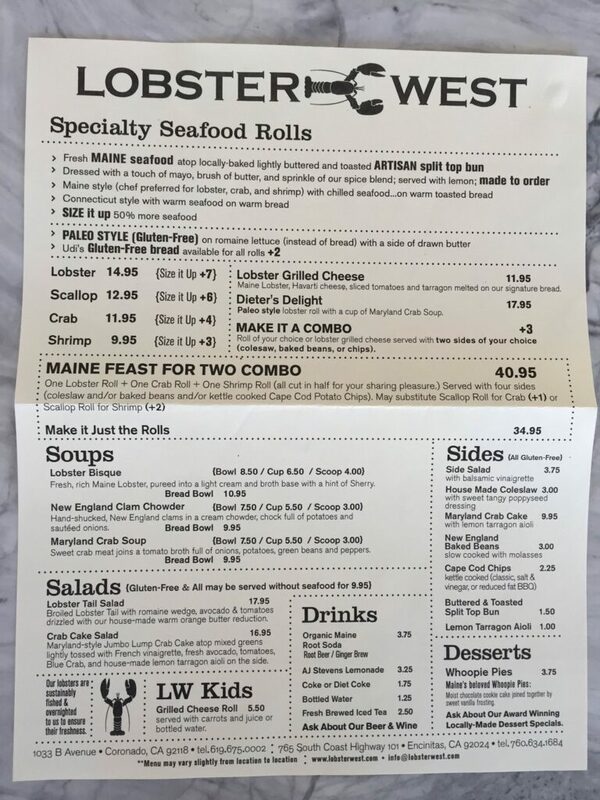 Lobster West’s menu is simple and hearty, with two styles of lobster rolls (Maine or Connecticut), as well as crab rolls, shrimp rolls, seafood chowders, locally-grown organic salads, and sides of chips and coleslaw. The drinks include Organic Maine Root Soda and and freshly brewed iced tea, as well as beer and wine. The lobster are sustainably fished in Maine and flown overnight to ensure freshness, and the restaurant sources local ingredients and organic produce whenever possible. The Maine Lobster Roll, chips, and coleslaw. Photo credit of Lobster West. Why did Lobster West choose this location in Coronado? 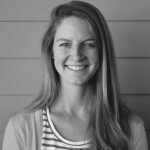 Jenny says they wanted to be close to the Del and in the middle of things, but mostly they were excited to come to Coronado, knowing it is a small, tight-knit community. Lobster West is eager to move into other neighborhoods after Encinitas, but Coronado was their top pick for their second location. If the buzz on local Coronado Facebook pages is any indication, Coronado will be ready to welcome the New England-style restaurant with true Southern California warmth in a couple of months. Until then, the Encinitas location is open for lunch and dinner, online orders, and catering, and their website includes more information about their sustainable lobster fishing practices and mouth-watering menu options.